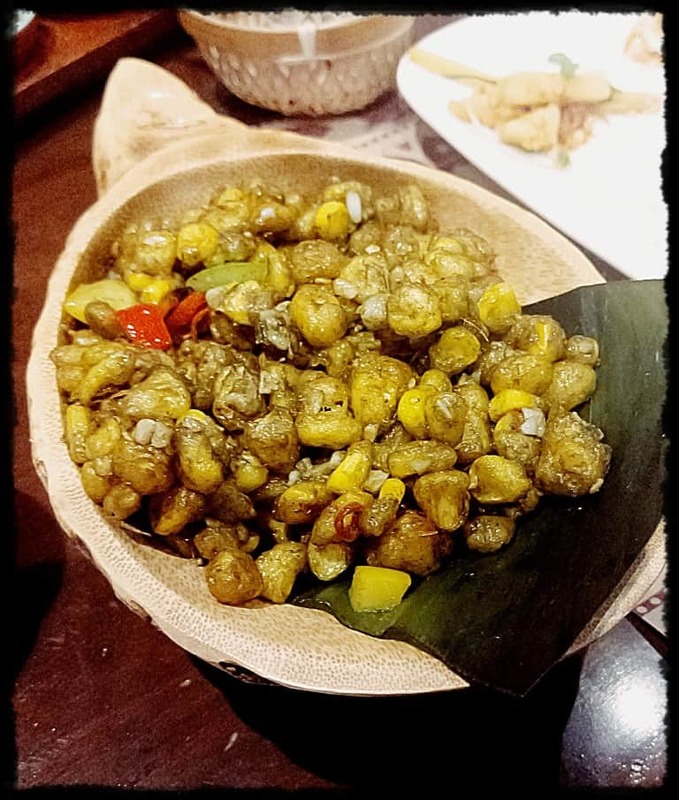 This weekend don’t miss the Thingyan festival at Burma Burma at Kala Ghoda, Mumbai, as the team has curated a special menu with the talented chef Ansab Khan and The founder and food enthusiast Ankit Gupta. The Thingyan festival, which is the New Year celebration of Myanmar, also called Myanmar water festival is celebrated during the hot and dry season for 4 to 5 days. During the festival the people drench friends, relatives and the passersby splashing water symbolized as washing away the bad luck and sins of the last year. 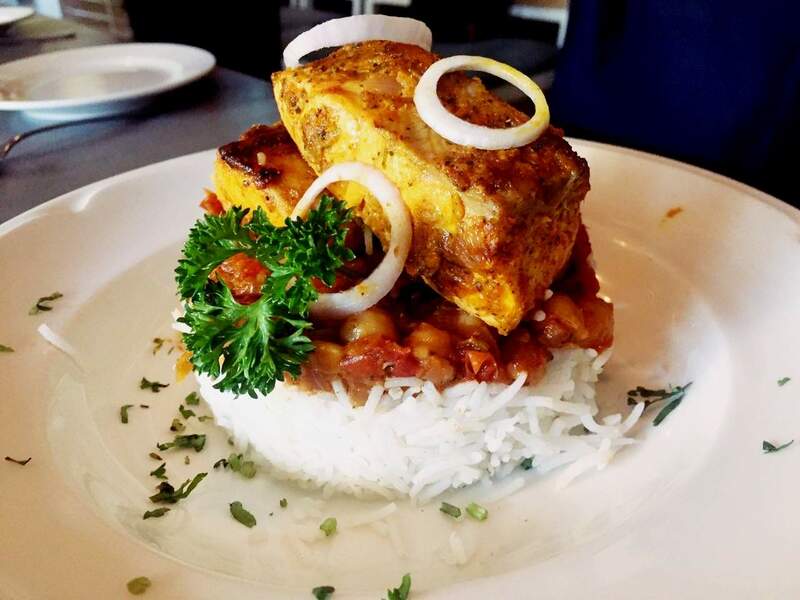 As you enter this place, it is bound to take you to a virtual trip to Myanmar through its décor and delicious authentic cuisine of the country. 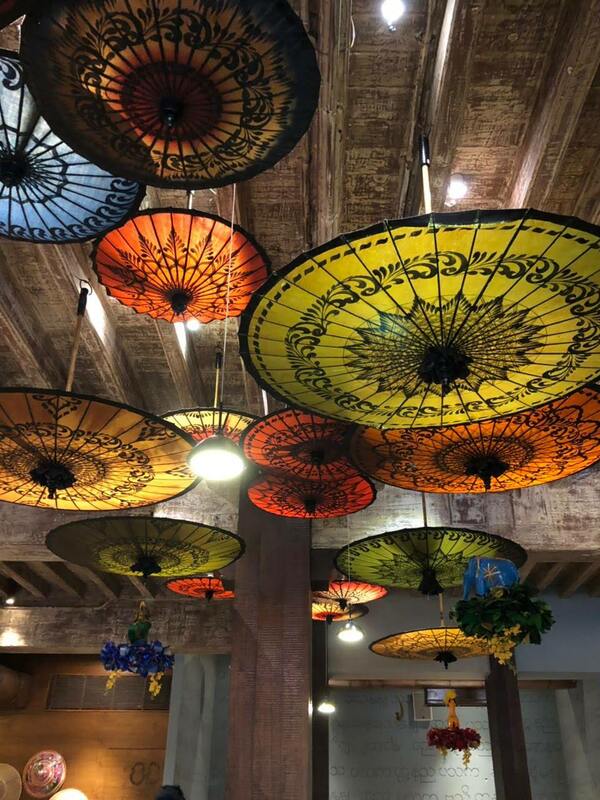 The whole place is lit up with unique lamp shades and decorated with cultural artifacts and souvenirs from the country, erstwhile known as Burma representing the country’s rich cultural heritage. The festival is ending on June 3rd. 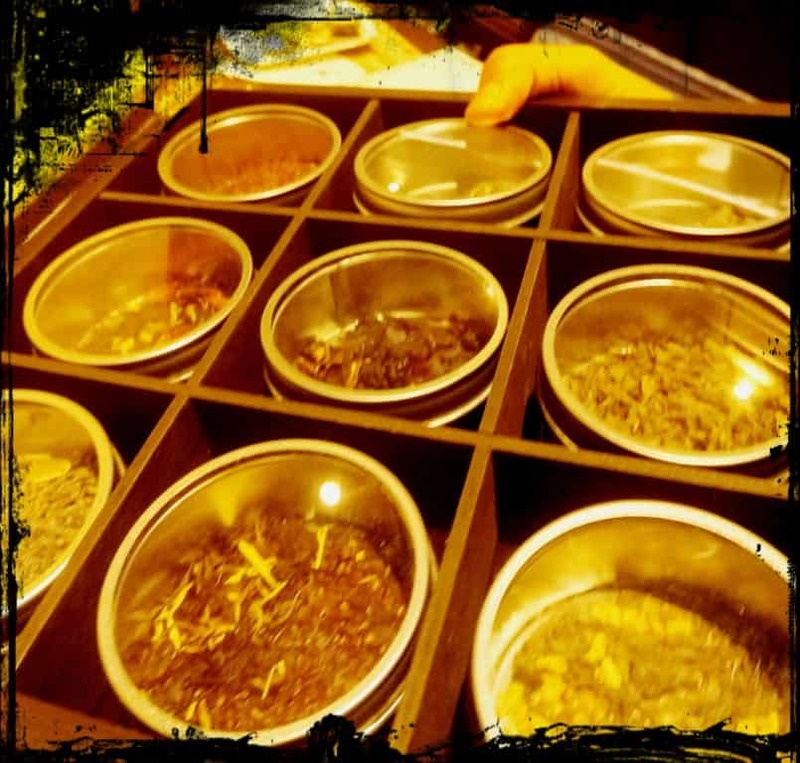 The restaurant being purely vegetarian, the cuisine is inspired by the dishes served during the Buddhist lent period in Burma .The star of the meal was soups and salads which are unique in flavor but compatible to the Indian palate. 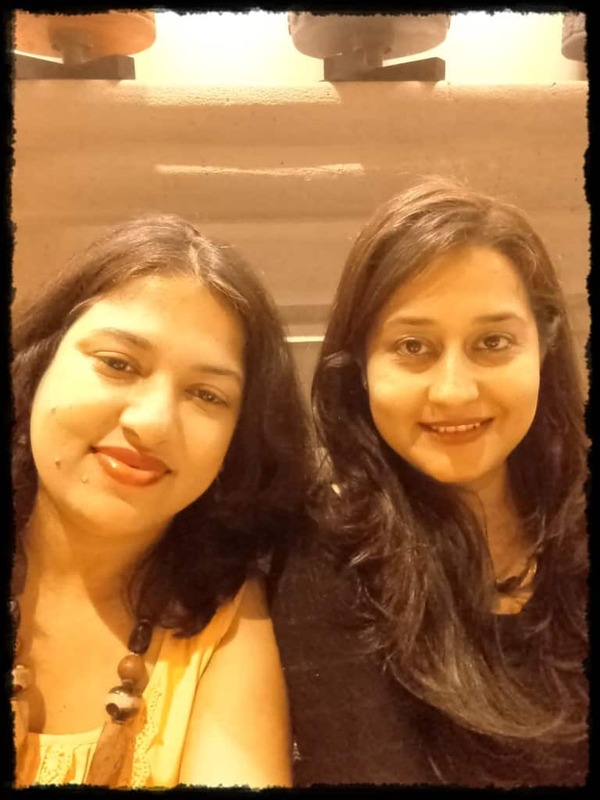 The food is extremely good and will not let you down. 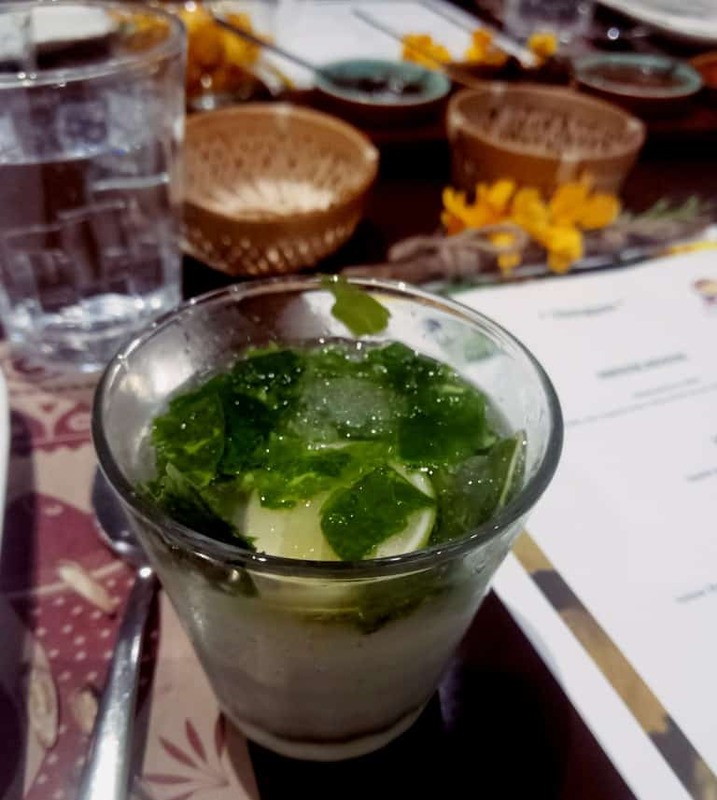 The beverages play an important role in the meal keeping the taste buds active and keeping one’s hydrated and refreshing.The drinks offered here do just the same. There’s a Kaffir Lime Cooler ,thoroughly refreshing for the eyes as well as for the body aromatic with strong lime fragrance. Bubble Tea, This tea is quite popular in Taiwan ,Philippines and other South East Asian countries with soft tapioca pearls and vanilla flavored milk ,the pearls were chewy and the milk was fun to drink. 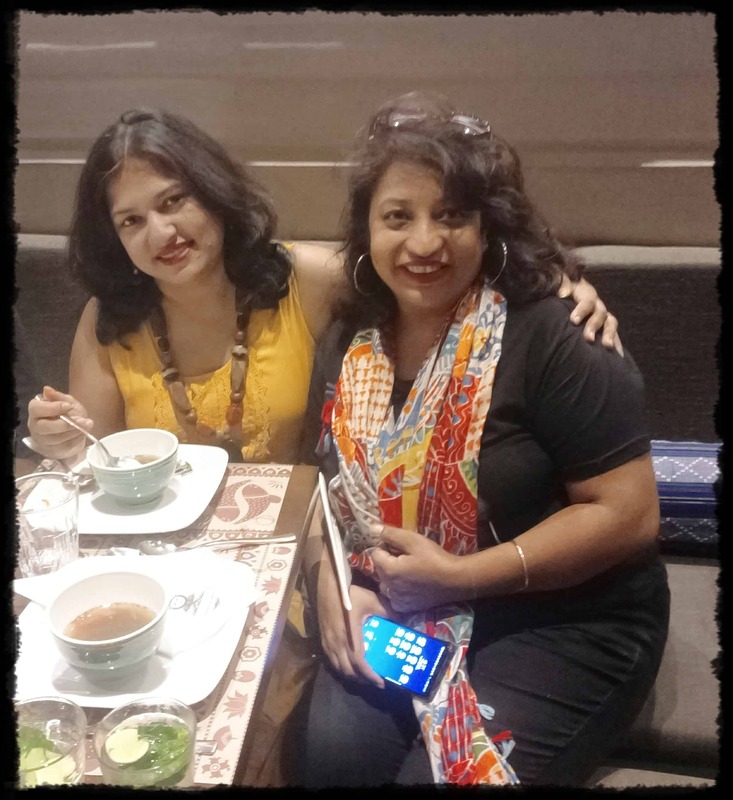 Don’t miss the Green Tea bar in the restaurant serving tea in amazing looking teapots with timer,very refreshing to soothe your soul. if you or the kids in your family love to munch on crunchy chips try Kyar Yoe Kyaw (Lotus Stem Crisps) Lotus stem chips spiced up with paprika & curry leaves. 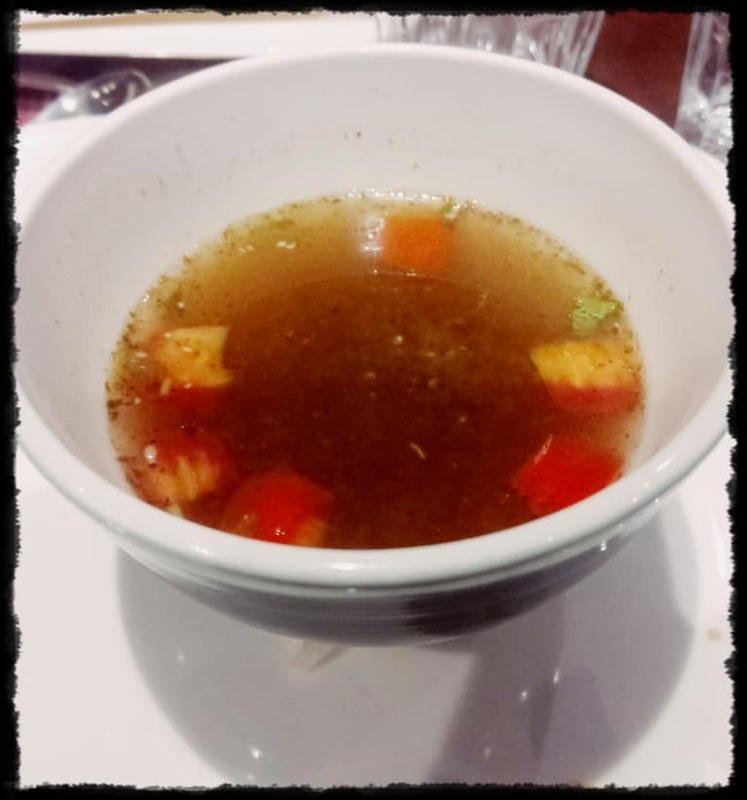 The kachin style mustard soup is a must try, with the flavor of dry mustard, is very unique and refreshing. The khowsuey in a bite is crispy fried noodles topped with reduced khowsuey, very pretty to look at, has a creamy texture and aromatic with the flavor of coconut milk. 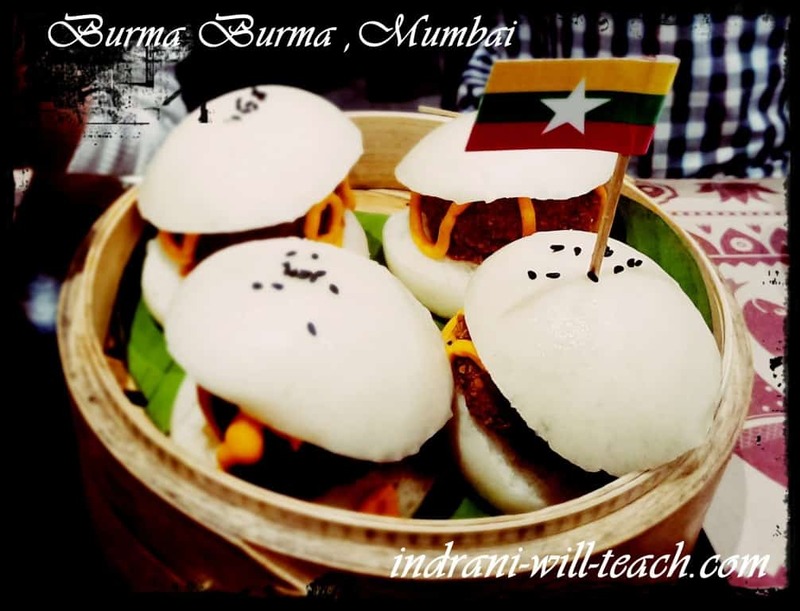 You will also love the Tofu burgers with steamed soft buns, coconut mayo and crunchy tofu patties. The textures of the buns are amazingly soft and you will love the coconut flavor. Tohu thoke, “Thoke” is salad in Burmese language and Tohu is an interesting bite sized squared made of chickpea flour, the preparation and the texture is similar to the “khandavi”, a traditional starter from Gujarat, though it is thicker ,unlike it .The chickpea batter is cooked, thickened and cooled on a plate and cut into thick rectangles, which are tossed with grated raw papaya, jaggery and sweet soy dressing. Very innovative and tasty. 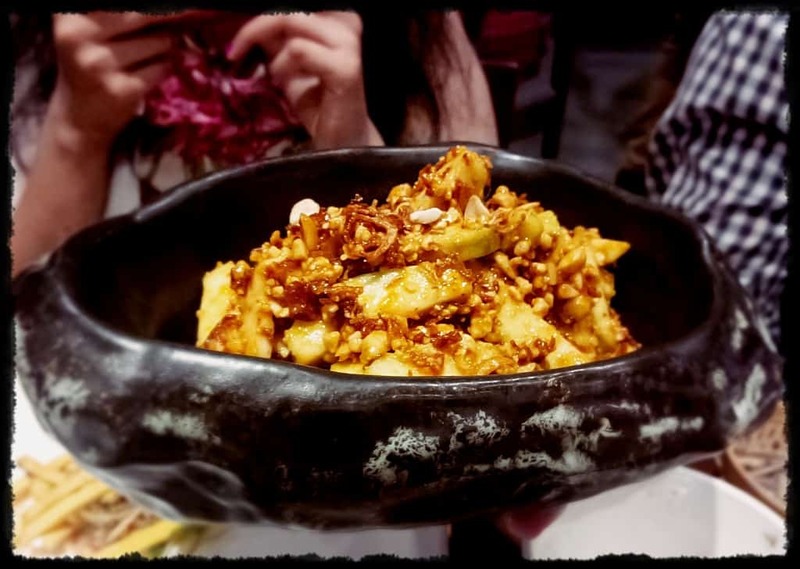 Another delicious and recommended salad is the guava salad which comprises of sweet guava tossed with crushed peanuts, roasted red chili and brown onions, a little tangy ,nutty, sweet and spicy. 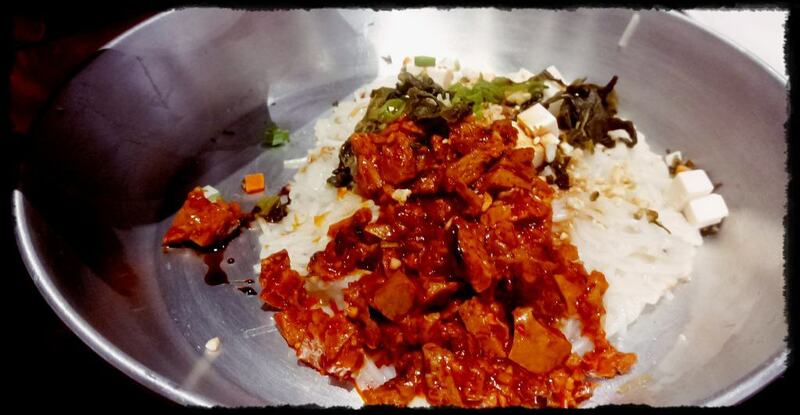 In the main course, the Taungyi khowsuey, rice noodles topped with Bolognese style sauce prepared with pounded soy based mock meat ,tastes divine. 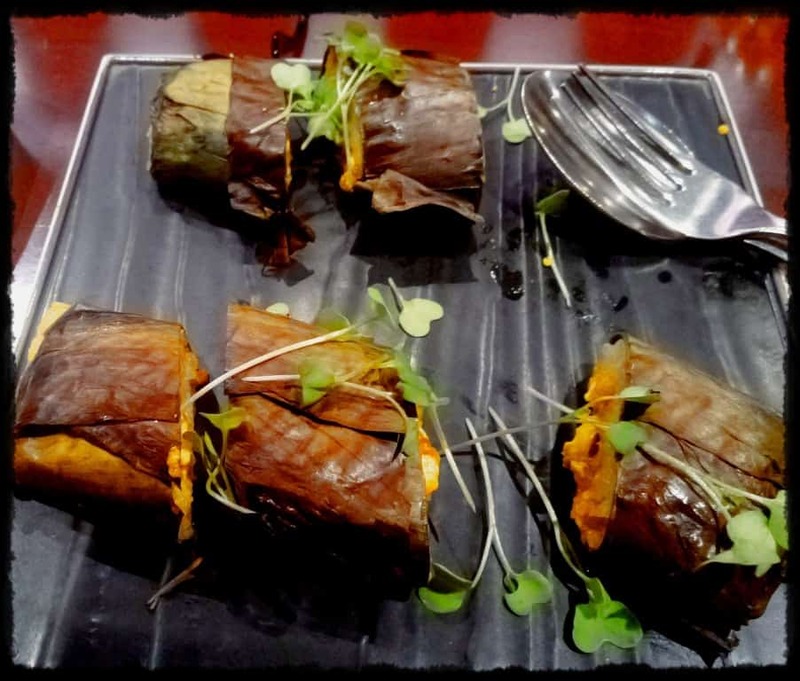 For rice lovers there is grilled sticky rice wrapped in banana leaf with tofu filling and with Eggplant tofu mash. 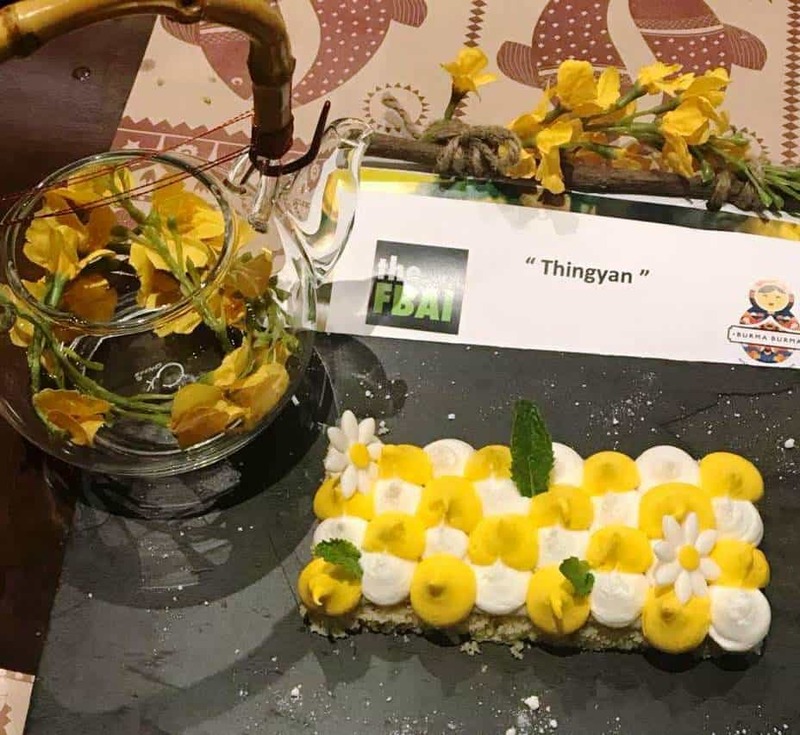 To end with, there are mind blowing desserts ,like Mango sanwin Makin,a crispy semolina cake topped with mango mousse with a hint of chilly and coconut cream ,tastes heaven and macha ice-cream served on chocolate soil . 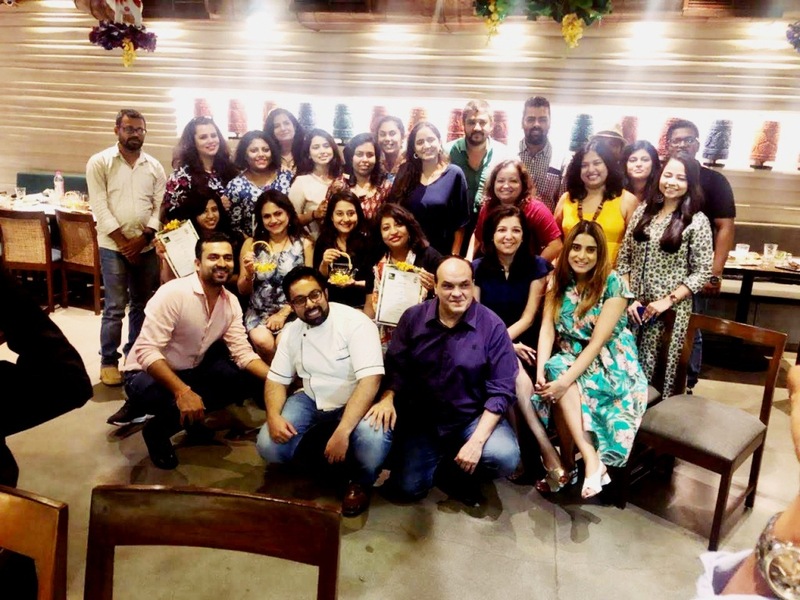 Courtesy: The courtesy to this article goes to FBAI and Burma Burma restaurant.On 20th May, the FBAI members were invited for a bloggers tasting session and I was privileged to be a part of it. 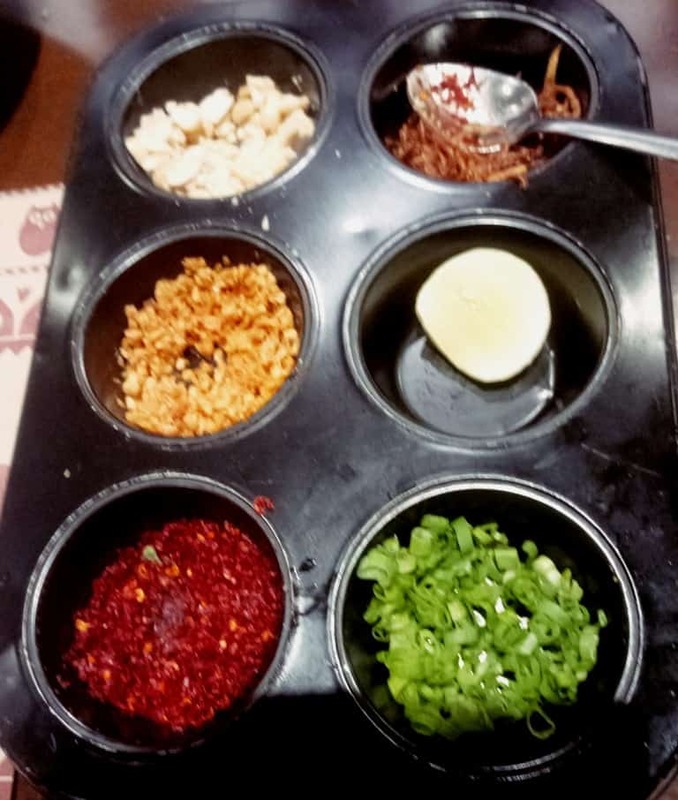 We had lots of fun and there was also a on spot salad making competition and our group scored 8 out of 10.My best wishes goes to my fellow bloggers who won the competition getting 9 out of 10 as being the most authentic Burmese salad.